The origin of the name of Avraham's nephew, Lot לוט, is unclear. Sarna writes that the origin is unknown, presumably following Cassuto, who rejects a connection to the name Lotan in Bereshit 36:20 (which is the suggestion by Kil in Daat Mikra on Bereshit 11:27) or a connection to the old Egyptian name of the eastern portion of the Land of Israel - Ruten - as suggested by Paton in The Early History of Syria and Palestine. Lot is portrayed in a variety of different ways in the Torah, Midrash, and commentators. While at times he is portrayed as a positive figure, at times he is portrayed as a negative figure as well. This ambivalence can even be seen in Lot's name. 'Lot' has two possible meanings: it either comes from the noun lot (laudanum, a fragrant plant extract; see Bereishit 37:25, 43:11) or from the Aramaic verb lut (to curse; see Targum Onkelos, 12:3, et al.). Lot is either fragrant or worthy of curse. Probably related to Akka. ladunu, Arab. ladan ( = ladanum). Persian ladan is an Arabic loan word. Greek ledon ( = rockrose), whence ladanon ( = labdanum) is a Semitic loan word. Rashi on 37:25 identifies lot with לוטס - lotes as mentioned in the Mishna - Sheviit 7:6. However, the Mishna actually uses the word לוטם - lotem. Similarly, Shadal says that Onkelos translates lot as לטוס - but the edition of Onkelos that I have has the version לטום letom. This confusion could be related to a mix-up between the letters samech and mem-sofit, but there is also a plant called lotem - from which, according to Felix, the fragrance lot is made. As to the Aramaic lut, Jastrow says it derives from the root לוט meaning "to cover", and the development to the meaning "curse" comes from a sense of "to talk secretly". 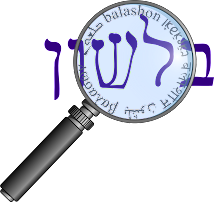 The root לוט is used in the Hebrew phrase לוט בזה - lut b'zeh - meaning "hereby enclosed" (explained here).